I straightened my hair for the first time in a couple of months today. I'm not used to it being straight but I think it was a good change for today. I got these lovely cowboy boots and Urban Outfitters a couple of years ago in California. They were on sale for like $30 I think, it's been so long I don't really remember. :P Tomorrow is the blogger meet up and if any of you are hesitant of going I'd be more than willing to ride together (if you live in Utah County). 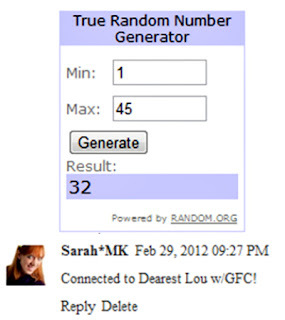 Elisha and Sarah shoot me an e-mail at dearestlou(at)gmail(dot)com to claim your prize! New winner(s) will be selected if I don't hear from you by Saturday March 10, 2012 11:59 PM (MST). I LOVE those pants! That green is great! I love this shirt!! So freaking adorable. 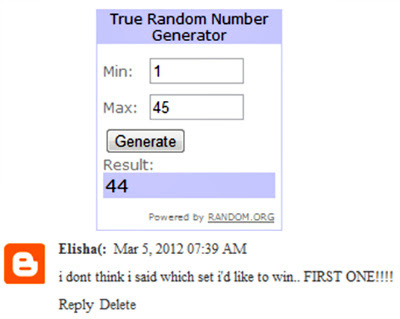 And man, I am so jealous of all the people that will be going to the blogger meet up!!! I wish I lived in UT so I could go! Have fun!!! the pants are cute, and your accessories too! i love your outfit!! ooh you're so cute. i'm sorry i can't attend the meet-up with ya but i hope you have an awesome time! i'll be packing today and probably the rest of the weekend (with a baby running about) so i won't have time for much of anything which is too bad because i'd really like to see you! hopefully we can meet up soon! i need to make QUITE a few trips to thrift stores here in the next while to pick up furniture/rugs/decorations for our apartment and i'd love it if you would come. You styled this perfectly! I love the greenish-blue pants with those necklaces. Also, I like the straight hair; it looks very nice. l loooooove this! such a wonderful combo! I think the straight hair is a good look. :) I've looked back a little at your outfits, and I really enjoy your style. It's just funky enough while still classy and feminine and pretty. Your hair is so pretty! And loving the colour of your pants! those pants are awesome! it's a great color for spring! very cute, love them pants! This is such an adorable outfit. 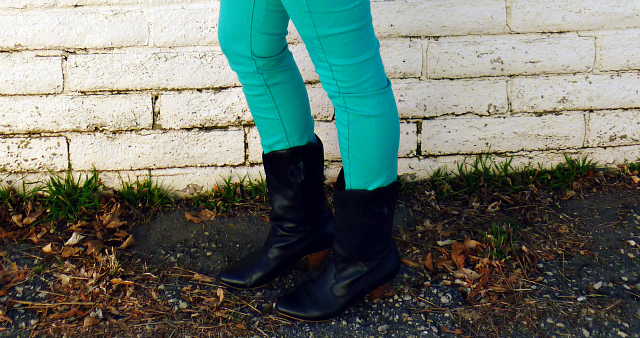 I love the bright colored pants with the boots. I'm a huge fan of boots, so I was instantly enamored with this combination. Love the outfit and the boots give are just the perfect touch! love the color of your jeans as well as your necklaces! Your green jeans had me! =) I am loving it. Followed. And maybe you'll stop by me someday. 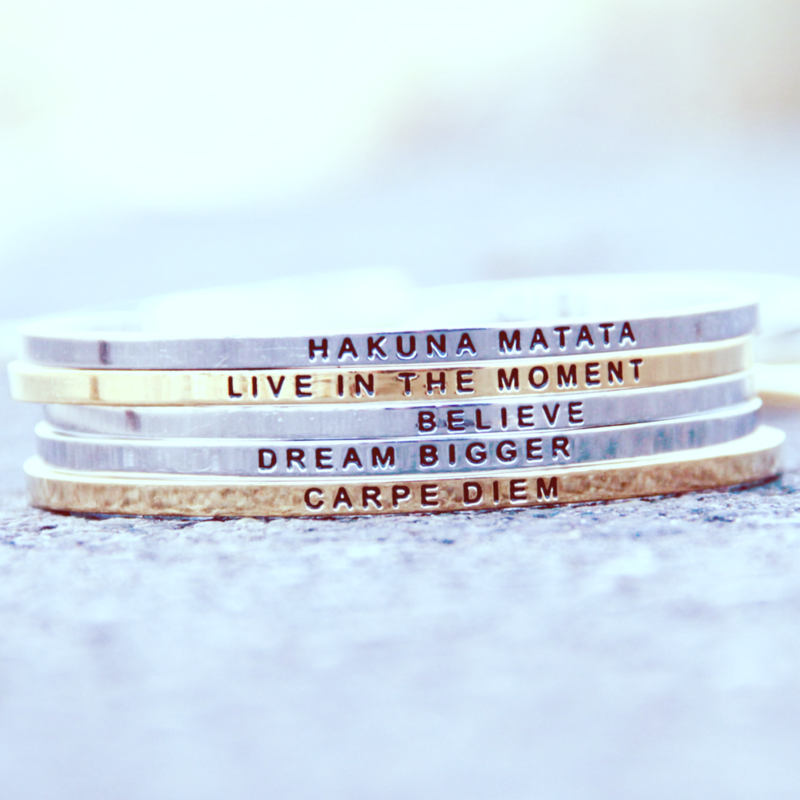 I love the way you layer your necklaces!!! This outfit is gorgeous, the trousers are such an amazing colour and I love all your necklaces! That first shot is just so gorgeous! Love the color of your jeans and your necklace!! I'm your newest follower! Come visit me and follow back if you like my blog! You look gorgeous girl! I love those pants, they are so cute! Your hair looks great straightened, super cute outfit! ps- loved seeing you last night, that was so fun! i dont know if my other comment went through.. but i wanted to say, once again, THANK YOU SO SO MUCH for extending the time!! :) i was horribly sick yesterday, and didn't feel like getting on blogger.. so thanks for giving me another chance!! (: i emailed you!! oh hey, you. little cutie ;) i LOVE your straight hairr!! Love your blog and this outfit! I've been scrolling through all of your fun outfits.